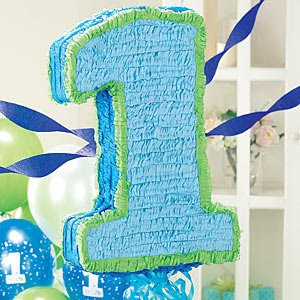 This first birthday party by sometimes creative is still further proof that breaking away from traditional themes often yields the most creative results. Who would have guessed you could do so much with the number 1? 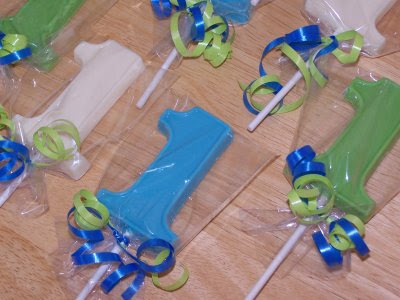 I really like the color combo of bright green and blue for a boy’s birthday... it’s both fresh and eye catching. 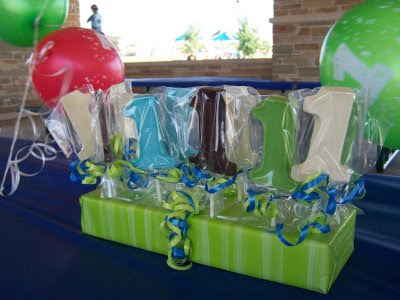 The homemade chocolate lollipops are an inspired choice too, doubling as both the favors and table centerpieces. But my favorite element are the cupcake toppers... complete with a photo of the birthday boy himself! This party is truly one of a kind (sorry... I couldn't resist). Really great stuff! Thanks for sharing. I like the chocolate lollipops. Easy for kids to eat without getting chocolate all over their hands. Well, you would think that anyway. Ha! Thanks for the post. I love your site and all of the ideas you share.